You are purchasing an allotted amount of time with your personal coach, you are not purchasing a one-time-sent cookie cutter program. Your program is ever-evolving, just like you and your goals. Constant clientele feedback is what forces our unmatched results, meaning you will be required to put in effort on your end. Let’s be honest. The appeal of a muscular or leaner ascetically athletic looking body is what gets many of us putting on those training shoes and signing up for pricey gym memberships. But, all too often that initial bursting inferno of desire and motivation diminishes into a puny little flame in no time. This is simply due to lack of guidance, failed results, and ZERO accountability. If this sounds like you, join the thousands of clients before you and purchase one of our Online Programs. If your goal is Fat Loss, Building Lean Muscle, or changing your entire body, then you’re in the right place my friend. 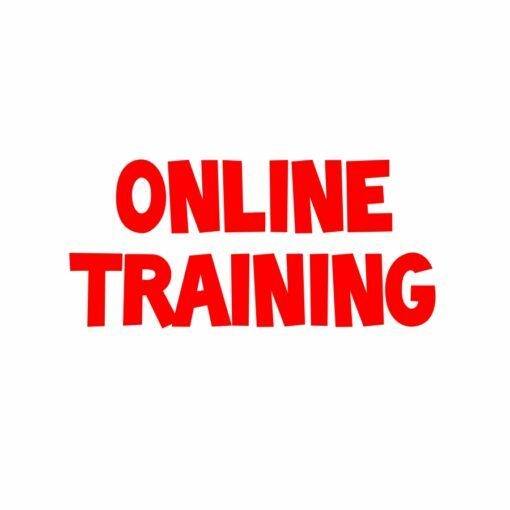 Our Online Programs are an excellent choice for anyone, from the beginner to the advanced athlete, who wants to change their body and establish healthy habits. Your plan will be designed specifically for you, according to your goals, schedule and individual needs. Take the guesswork out of your training & nutrition regime and let us help you focus on reaching your goals starting today! Personalized Training Program – You’ll receive an initial jump-start personalized Training Program designed specifically for you based on your goals, and built around your schedule and available equipment. Your program will be designed to provide the fastest path for you to achieve your fitness goals. Whether you train at home with limited equipment, or at a state of the art training facility, we will design a custom program just for you. Your program will be monitored and adjusted as-needed throughout your purchased duration. Personalized Nutrition Program – You’ll receive a personalized jump-start Nutrition Program designed specifically for you based on your goals, and built around your schedule and available food options. Your program will be designed to provide the fastest path for you to achieve your fitness goals. Your program will be monitored and adjusted as-needed throughout your purchased duration. Personal Metabolic Profile – The Personal Metabolic Profile explains in detail how may calories are required to maintain your current weight, as well as how many calories are required to reach your desired goals. If Purchased – Personalized Nutrition Plan – You’ll receive a Nutrition Plan that details exactly what to eat, how much to eat, and when to eat it for the entire week. The Nutrition Plan is designed specifically for you based on the information you will provide about your goals, daily schedule, food preferences, your past training and dieting history, and your Personal Metabolic Profile. Your nutrition plan will be designed to provide the right nutrients at the right times during the day, based on your personal schedule and your food preferences, to allow you to most effectively reach your goals. You will rotate through various plans each week and we will make any necessary modifications to your program based on your actual progress toward your goals. Supplement Consultation and Recommendation – You are not required to purchase any supplements for any of our programs. Having said that, we do generally highly recommend the use of a Whey Protein and Branched Chain Amino Acid (BCAA’s) supplements to maximize endurance, recovery and results. These are not required if you prefer not to use them. If you are interested, we will also recommend other effective supplements which could be used to help maximize your results based on your specific goals. Support and Updates During Your Program – We will personally monitor your progress throughout your program and make any necessary adjustments to keep you progressing toward your goals. Your program will include a check-in calendar to track stats based on your specific goals, and we ask that you provide a short update bi-weekly on your progress, and monthly updates on your measurements. When possible, it is also beneficial for clients to take digital camera pictures, and update their progress photos monthly. We will combine the information from your mandatory bi-weekly updates, measurements, and pictures to monitor your total progress. We will make any adjustments necessary as you go along to keep you progressing as planned. 100% Accountability – Unlimited email support is included during your program period. You may send any questions you have and we will answer them for no additional charge. There are never any additional charges for support or consultation during your program. Please note, this online program is NOT designed for contest prep. Please contact us at the Contact Page for available Online Contest Prep options and pricing. Once payment is received you will then be sent a questionnaire from Joe[@]JDFitness.com with a few new client instructions. You will answer a series of questions at the link we send to you. Once everything required has been submitted on your end, we will create your program off of your answers. Your workouts will all be designed and tailored to you based on your given answers. You can also complete your questionnaire now! Please allow 5 – 7 business days for your plan to be completed and sent to you via email. These are not simple cookie-cutter programs, they require time and attention to detail.